With the majority of workers now engaged in office-based work in which they have to sit for prolonged period of time, there is now a large body of scientific evidence that prolonged sitting in everyday chairs is harmful to the human body. Sitting for extended hours has been shown to be the primary cause of back pain, neck pain, poor body posture and fatigue in the office. There have been many options devised to overcome this predicament with different degrees of success, such as taking walking breaks after sitting for some time, using a standing desk, and ergonomic chairs with lumbar support. One of the newer ideas is the kneeling chair. But does it solve the problem? The kneeling chair does this by tilting your hips forward by supporting the bottom and thighs on one pad and the knees and shins on another pad in a kneeling position. There is typically no back support in the classical kneeling chairs (although there are now some iterations with a back support which specialist believe defeats the original idea behind the kneeling chair). When seated in this position an individual is forced to keep an upright position that leads to healthy spinal curvature. This sitting position also leads to reduced back pain, core muscle development, and improved posture. 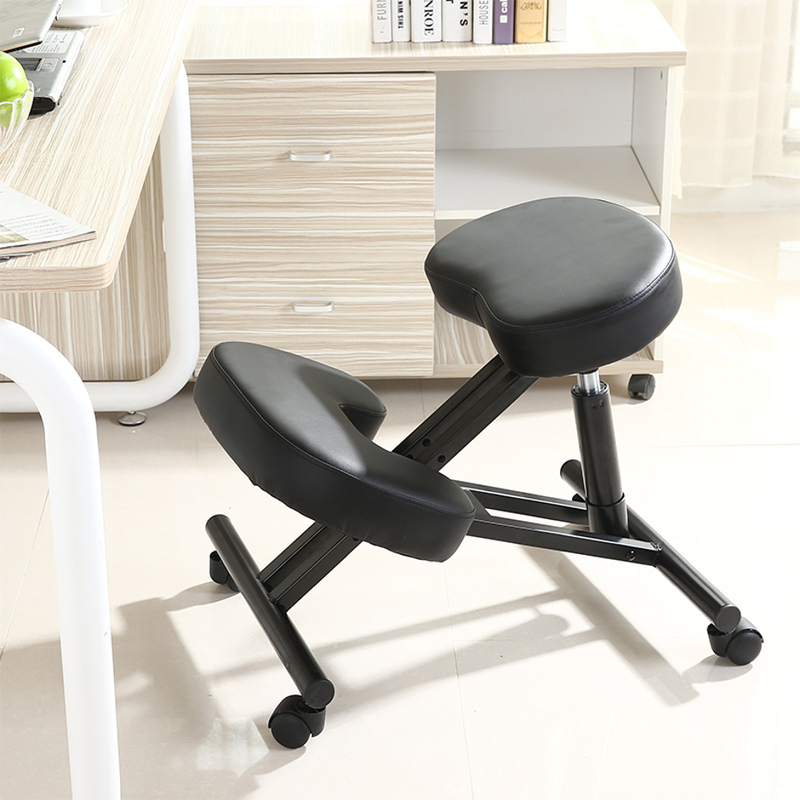 A lot of users of kneeling chairs have also noted that it keeps them more focused and engaged in their work as they become more active participants in sitting properly. And it is also comfortable after the body gets accustomed to this new sitting position. Another key benefit is sitting in this position aids the human digestive system leading to less constipation. While the kneeling chair does have its benefits, prolonged use during the workday is not advised because sitting in this position for an extended period of time restricts blood flow to the lower limbs. The best practice is to have breaks where you sit on a normal chair or walk around the office. Very tall people might also find it difficult to use a kneeling chair even with the types with adjustable seat pads as they might feel more stress on their shin pads and knees. 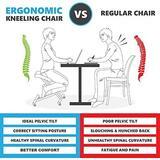 But the tall ones can consider stretching out one of either leg intermittently when sitting on the kneeling chair. If you are interested in a kneeling chair you can get good deals on them from 123ink.ca.